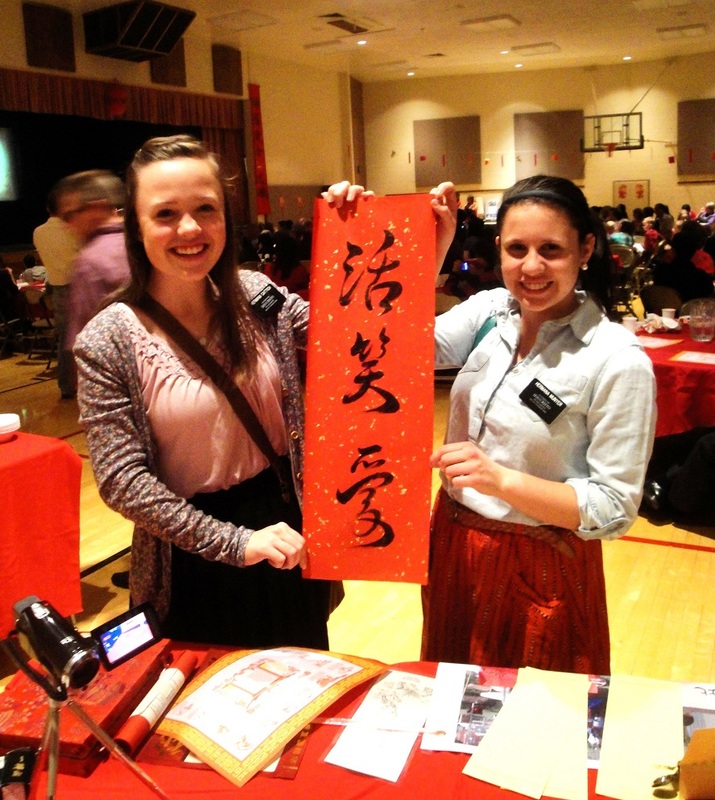 Over 100 Chinese Calligraphy events in Dallas/Fort Worth Area since 2005. Almost everything needed for planning an event is organized in this Webpage. Any questions, please contact Joshua Hough at ArtsAndVirtue@MSN.com. Please choose a menu that fits your event. An event located 15 miles outside the intersection of 635 & Central 75 will be subject to "Extra Mileage Charge" of $10 per mile. I do not take appointments with only one hour. You may ask Joshua to write almost anything appropriate in meanings. Each Chinese character's size should be between 4"x4" and 7"x7". Your order will arrive in about 4 business days. Since I have only red and white paper, when you order from OAS for your event you will have more varieties of paper to be chosen by each audience. You may order any kind with gold flecks from OAS. Paper should be completely wrinkle free, and not be folded at all. Please trim the paper into the sizes of your specifications before the event, or you may simply trim each 26 x 52 inches paper into four equal pieces before the event. Trimming should be done slowly to prevent the paper from being folded and getting wrinkled. No one will be happy to receive a wrinkled piece. Or leave paper uncut - You may trim at the end of the event. Please be sure your table is large enough to fit the paper. Some of my 100+ Chinese calligraphy event planners between 2005 and 2015 purchased their own paper. There are many people selling English names and phrases written in Chinese calligraphy starting from $10 on the Internet. Their artistic levels are very different. You may search with Google Images "English names in Chinese calligraphy" , e-Bay, Amazon, etsy...to compare their services, prices and qualities. The maximum quantity I can write per hour is about 25 to 30 Chinese characters. Beyond that, you will not be pleased by my artistic quality. I do care about my artistic reputation and your satisfaction. can be a good way to know the average writing speeds with a Chinese brush. My Chinese calligraphy styles are solemn and methodological, and are never flashy or cartoonic. You may compare my main account, second account, and a pseudonymous account "calligrapher-philosopher" with other calligraphers on Facebook for the level of artistry. Most native Chinese, whether they practice Chinese calligraphy or not, can very easily tell at first glance if a piece of Chinese calligraphy was written carelessly or the Chinese calligrapher was being rushed. So a native Chinese may dislike or criticize a rushed piece of Chinese calligraphy even if it looks beautiful to a non-native Chinese. So, I can write about 10 English names translated and written in Chinese calligraphy per hour, or 10 to 12 pieces of names and/or short phrases mixed per hour. In my events, I rarely accept entries of more than 5 Chinese characters to be written on the same piece of paper because it might be unfair for people waiting in line. To figure out the estimated number of Chinese character for each English word, you may use Google Translate at http://translate.google.com/ . If you are looking for catering, fun, entertainment, or quantity, we do have many Chinese calligraphers living in Dallas. You may contact them via Dallas Chinese Yellow Pages or Chinese language schools in Dallas. Joshua will not be responsible for any delays caused by being provided with only one table, being located in a dark location, distractions such as loud music, and etc. located in a very bright area. Though I have signs on the table "Do not touch the table during writing," people, especially kids, tend to lean or touch the table. Any trivial movement of the paper during brush writing will distort a brushstroke to a certain level. To prevent any unexpected movement, I purposely seperate two tables with a one-inch gap. If a piece is affected by unexpected movement of the table, I will start writing that piece again. I serve all of the audiences with respect and sincerity. I deeply respect each piece I write. I believe that every one, including people who cannot read Chinese at all, will be able to tell the artistic differences if the piece is done with all due submission and respect. If the event is outdoors, the estimated quantity per hour will be reduced due to the wind blowing the thin and light Chinese calligraphy paper. As the quantity may be the event planner's main concern and the artistic quality of each piece may be the individual recipient's and my concern, we would appreciate if we understand this: if Chinese calligraphy brush writing is rushed, the artistic quality will surely be less perfect. A good Chinese calligraphy work is everlasting - no matter how we look at it, today or in the future, it's always worthy of the viewers' appreciation or collection. I sell collectable artwork, not mass production. My art is not meant to be entertainment. Names written with black ink on red Chinese calligraphy paper. Short phrases may be written on white paper. All supplies included. You don't need to purchase paper and ink, or anything. Chinese people do not write people's names on purely white paper if a calligraphy brush and ink are used. This is Asian culture. White paper* is never used on New Year's Day. *"Purely white paper" means the paper is not mounted with silk borders, or no signature, seals, gold flecks, and/or other decorations and/or other words are added. Or if you purchase your paper and ink, the hourly rates will be reduced by 15% for each of us. If your party has more guests than a single calligrapher can handle, Joshua will recruit other calligrapher(s) with competent Chinese calligraphy skill. They will not charge higher hourly rate than Joshua. However, I make no guarantee regarding their writing speed, artistic quality, and their communications with the guests. Some of us had done a joint demonstration during Jackie Chan's promotion of his movie Karate Kid, and received a very nice compliment from Joshua's agent. Since every Chinese calligrapher has different styles, writing speeds, training methods, and teachers, the best way to compare is to watch videos on YouTube. Full payment is required by the end of the event, otherwise deposit is required before the event. Setup and cleaning time before and after the writing or painting will not be charged. Setup usually takes 15 minutes before the event begins. I arrive about 15 minutes earlier. Cleaning will take at least 20 minutes. Please make sure that the building will be open after the event for at least 20 minutes for cleaning because inkstones, Chinese calligraphy paper, and brushes are extremely fragile. Please purchase cardstock paper from Hobby Lobby or Michaels. Please buy "textured" cardstock instead of smooth ones. I would not write on slippery paper or smooth cardstock. Please buy "square" cardstock as shown. Each is $0.69 from Hobby Lobby. Please do not buy rectangular ones. Limited to 25 characters (pieces) per hour. 20 characters (pieces) per hour guaranteed. This means there will be at least 20 recipients per hour. No first or last names. Only single Chinese word. I know a Dallas calligrapher who will charge $20 per character of this size... so I count overtime strictly for C3. Once my student even charged higher price than I did! Make sure each board is at least 9" x 10". Limited to maximum of 10 characters (pieces) per hour. 9 characters (pieces) per hour guaranteed. This means there will be at least 9 recipients per hour. Shikishi boards are completely wrinkle-free and ready to hang and/or to be inserted into frames immediately. No mounting required. Chinese calligraphy on Shikishi boards is great for decoration, collection and preservation. with black ink on white paper. Only white paper is used. No people's names will be written for this service. This service in white paper is not available during any new year celebration. The event planner pays a non-refundable deposit of $200 for a two-hour event; $250 for three-hour; $300 for four-hour. Each audience will be charged a nominal fee from $5 up to $20 depending on the size, length, and content of calligraphy. with black ink on white or red paper. Either first or last names. A full name will be counted as two pieces. Any short phrase is defined as maximum three English words. Longer phrases will be counted as two or three pieces. This group discount is only for those who will have or have had a Chinese calligraphy demo with Joshua in North Texas. Post-Event Custom Order: This option allows audiences who did not receive their calligraphy during an event to receive theirs in about three weeks. I also work as a public accountant. So please allow enough time. Depending on my schedules, the availability of C2-Custom is not guaranteed. There are many people selling English names and phrases written in Chinese calligraphy starting from $10 on average per piece on the Internet. Their artistic levels are very different. You may search with Google Images "English names in Chinese calligraphy" , e-Bay, Amazon, etsy...to compare their services, prices and qualities. 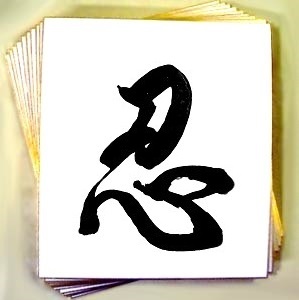 Due to fluidity of gold pigment and other techinical requirements, the maximum quantity I can write per hour is about 20 to 25 Chinese characters for the PREMIUM SERVICES besides the smaller inscriptions (i.e., recipients' names and my signatures), if shown. The audience will receive the same or similar specialty paper as received by HP CEO Robb Rasmussen in the video. Other prints are also available besides shown on this video. 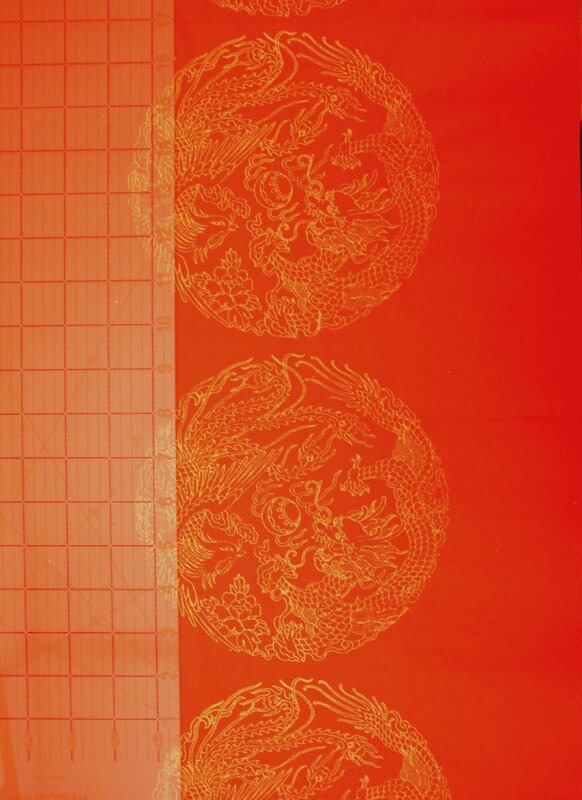 "10,000 Years Red" ( 萬年紅 ) paper is currenly the highest grade and most expensive red paper used for Chinese calligraphy. Regular black ink is not so compatible with "10,000 Years Red" paper. Guzheng (Koto) by Prof. Hu, the best of Dallas, and calligraphy (and/or Chinese brush painting) by Joshua Hough at the same time. Since Prof. Hu teaches classes, rehearses in Chinese orchestra every week, and travels extensively for performances, and Joshua works as a public accountant and teaches calligraphy and painting during weekends and works overtime frequently during weekends, it is not easy to have Prof. Hu and Joshua to do a joint demonstration. So appointment is required at least two weeks before your event. Prof. Hu charges at least $300 per show, and extra charges depending on the length of time and repertoire. If you are interested in planning a joint demonstration with Joshua writing Chinese names for your VIP guests and/or doing a beautiful landscape on a premounted blank scroll (ready to hang on the wall immediately when finished) and enjoying listening to the beautiful Guzheng music, please make an offer by email to ArtsAndVirtue@MSN.com or call me. Joshua will demand at least 150% of the above hourly rates in each menu or a comparable match with Prof. Hu's rate. While Prof. Hu has her own agent, the options in the following menus may require contacts via Joshua or our mutual agent Realtor Peter Wu (to be added later).